Please join exhibiting artist, Patty Carroll for an Artist Talk on Sunday, February 17th at 2:00 p.m. 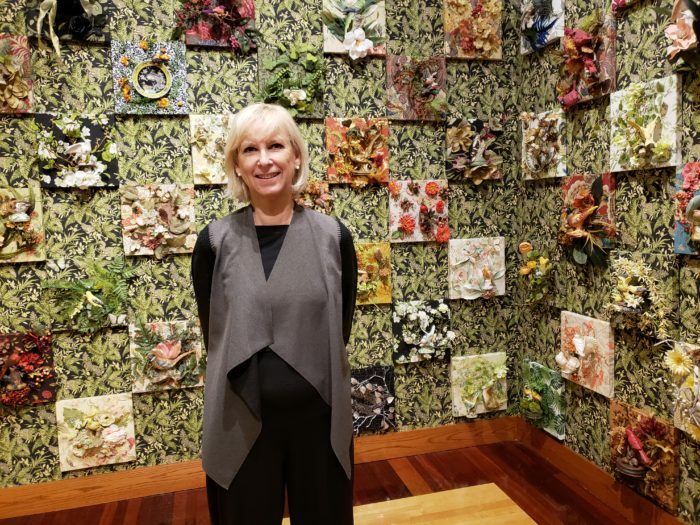 Step inside Flora and Fauxna and experience the transformation of the AKMA Esson Tower Gallery into this ornate world that mirrors the home life of birds in nature while symbolizing the nesting instincts of women whose homes are a sanctuary of pride and obsession. Patty will share her inspiration through these not-so still-lives. Free and open to the public.